A bill that would expand access to a lifesaving drug used to prevent overdose deaths appears headed for passage in the Maine Legislature. And a new amendment that includes training for law enforcement has apparently eased some of the concerns of Gov. Paul LePage, who had previously threatened to veto the measure. The governor's spokeswoman now said her boss might let the bill become law without his signature. 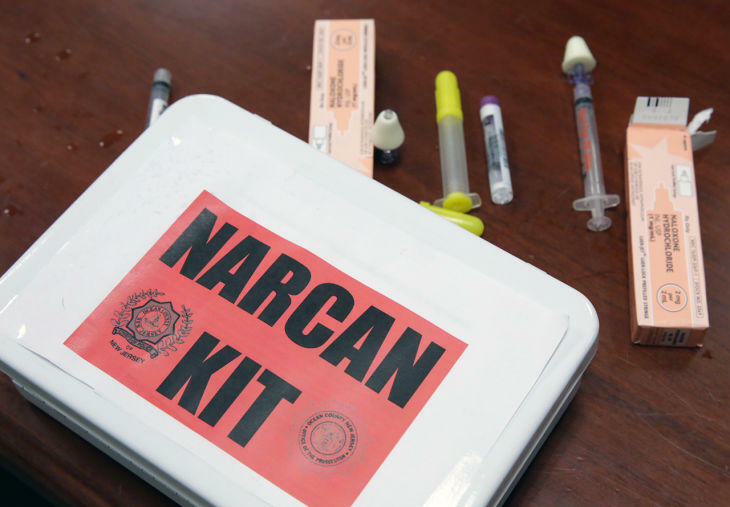 The drug, known as Narcan, can help reverse the effects of an opiate overdose if it's quickly administered to someone in respiratory distress. Last year, Gov. LePage vetoed a bill to expand access to the antidote, saying it would "make it easier for those with substance abuse problems to push themselves to the edge, or beyond and provides a false sense of security that abusers are somehow safe from overdose if they have a prescription nearby." But recently, the governor agreed to compromise to limit its access to immediate family members of opiate addicts under certain conditions. But the bill's sponsor, Rep. Sara Gideon, a Freeport Democrat, added an amendment this week to include police and firefighters. LePage again threatened a veto, saying he had concerns about whether those administering the drug were qualified to do so. The governor subsequently met with with Sen. James Hamper, a Republican from Oxford, who offered a new amendment to the bill. "I have added in a piece that offers them training, or requires training, and the protocols are to be made up by the Medical Direction and Practice Board," Hamper said. Additionally, Hamper said his amendment removes language from the bill pertaining to emergency medicial technicians who are already trained in administering the drug. "Quite honestly, what do we need to put into statute something that is already covered by the Medical Direction and Practice Board?" Hamper said. The Senate gave initial approval to the amendment without a recorded vote. Assistant Senate Majority Leader Anne Haskell said Hamper's amendment is needed. "It would have been unnecessary to have EMTs included there, and it would have been contrary to how they run their protocols for what drugs they carry - that process is already currently in place and there's no reason to believe that it won't go forward through the regular process," Haskell said. The various twists and turns the bill has taken to date are less important than the problem it seeks to address, according to House Republican Leader Ken Fredette. "I think what is troubling most about the entire issue is that we actually are having to have conversations about the degree to which drugs have become a problem in our society," Fredette said. Assistant House Democratic Leader Jeff McCabe agrees. He said that's why both parties want a broader Narcan policy. "And a policy that will pass the governor's office, whether he'll sign it or not, is pretty important to us," McCabe said. "We'd like to see him sign it, we don't want to see this vetoed. We think this is an important measure, and I think there's been an attempt both on the House side and on the Senate side, to really focus on the policy and make it so that it's something the governor will let become law." Later in the day, the House gave final enactment to the Narcan bill in a 142-0 vote. A final vote in the Maine Senate was pending at air time. And as for the governor? Press Secretary Adrienne Bennett said it is likely that he will allow the bill to become law without his signature.